Oh, those frightful Holiday parties. You know the one's. 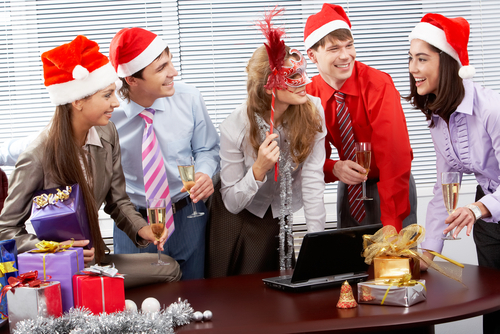 They require you to dress up and mingle, there is usually a sit down dinner, a speech from a leader/boss man/CEO and perhaps a white elephant gift game, or prize drawing and that's a wrap. Not only has Top Notch attended numerous events such as these, Top Notch has unfortunately also serviced these events. 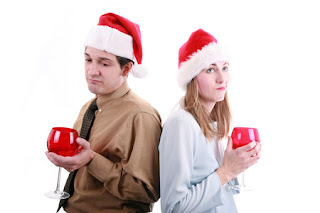 With the Holidays approaching quickly (exactly 36 days as I write this until Christmas 2016) I have been requested by a number of past customers for a new blog article focusing on some of the more recent holiday entertainment and games that Top Notch DJ Service incorporates into our Holiday and End of the Year Parties. Without further ado, below is a list of just a few popular activities you will find Top Notch DJ Service including in our 2016 Corporate Holiday events. How to Play: This game does require some prep work as the party host will need to create this enormous ball of saran wrap. 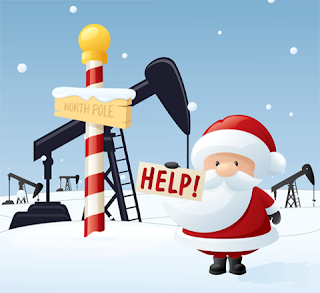 Be sure to include fun Christmas Candies and treats throughout the wrapping of the ball, along with 1 major key prize in the center of the ball that all participants will be eager to obtain. How to Play: Participants must either sit or stand in a circle. The first chosen participant may begin unraveling the ball, meanwhile the participant beside him/her should have a roll of dice and attempt to roll doubles. 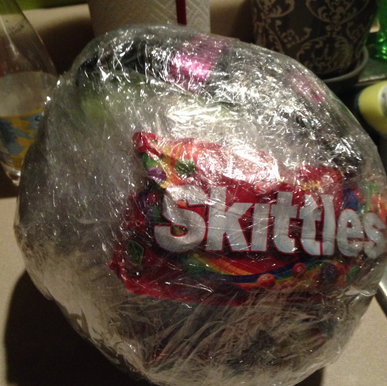 Once the participant rolls doubles the ball is passed to them and the dice to the next person in the circle until all gifts in the Saran Wrap are acquired and the ball has been completely destructed. 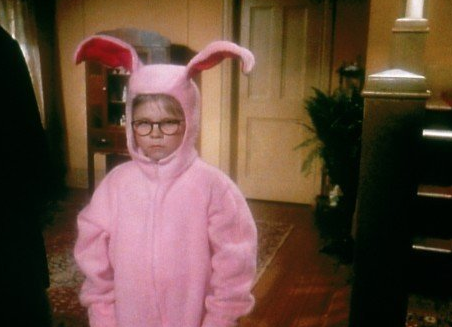 Image from the move "A Christmas Story"
How To Play: A short speech or holiday story is composed and read by the party host that MUST include the words “Left” and “Right” repeatedly (such as “When Santa left Bobby's home, he jumped in his sled and immediately went right to Jenny's house, he went right through the chimney and left only 3 presents” Participants must be formed into a circle with unclaimed gifts in their hands. 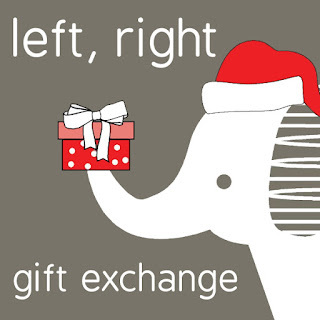 As the party host reads the story, every time the word “Right” is read, the participants must pass their gifts right, similarly when the word “Left” is read, participants must bass their gift left. 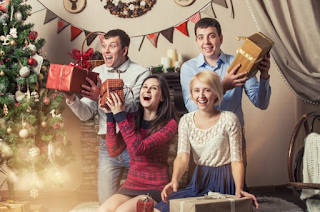 When the story has concluded participants can keep whichever gifts they are holding. 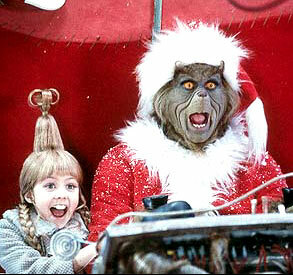 Image from "How The Grinch Stole Christmas"
How to Play: This game is basically similar to “Junk in the Trunk” which Top Notch plays at various pool parties, birthday parties and other types of events. 2-5 empty tissue boxes are required along with string or belts and jingle bells. Jingle bells should be placed in each tissue box and tissue boxes are attached to the participants prior to the start of the game. Participants must shake their hips in the attempt to shake all of the jingle bells out of their box. The first to shake all of the bells out within 1 minute wins! Conclusion: Holiday Party games are not only great Ice Breakers for any corporate or holiday event, but many also incorporate teamwork, camaraderie and fun memories between working peers. The result is not only good stories for water cooler chat the next week at the office, but a shared sense of enjoyment outside of the working environment for all involved. Along with the activities listed above, Top Notch does utilize a number of additional ideas and activities for Holiday parties that can be found in a prior Top Notch post by clicking here. 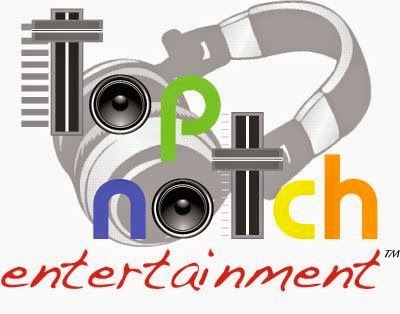 For even more games and ideas, please feel free to contact Top Notch directly at topnotchdjservice@gmail.com. Thanks for reading!